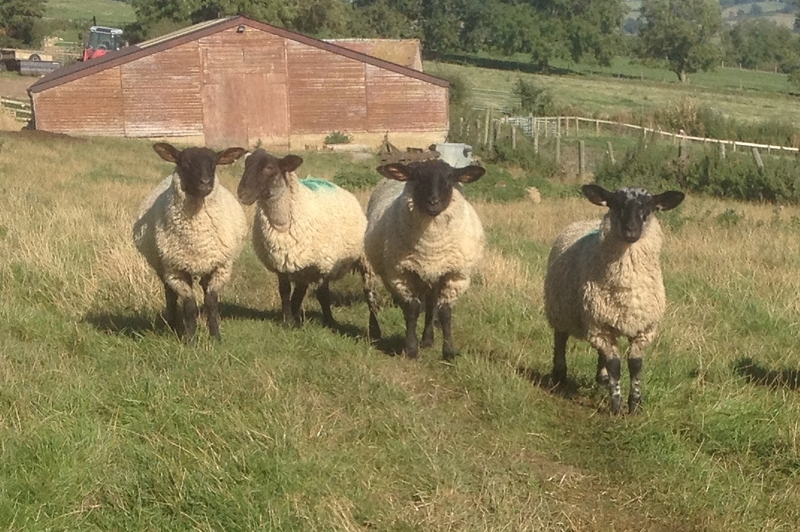 Fifteen miles of sheep dung cover the northern end of Cotswold Way, a series of footpaths that meander through English farmland from the city of Bath to the town of Chipping Campden. This is the heart of England’s Cotswold region, with its yellowish stone villages, rolling hedgerows, and loosely piled rock walls. On the beautiful October day I spent along these paths, it was easy to understand why walking is such a beloved English pastime, second only to standing in orderly queues. 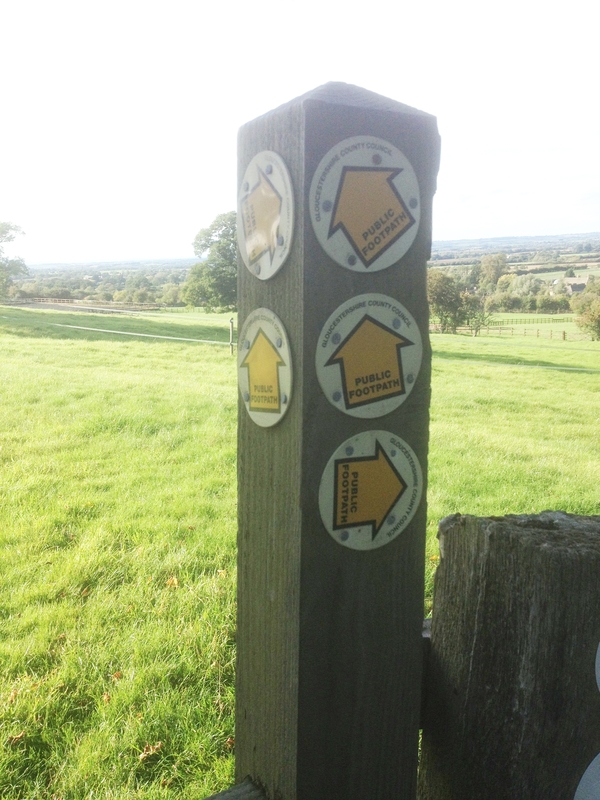 The official Cotswold Way is marked with a National Trails acorn, which is variously displayed on metal waymarks or carved in posts and signs along the trail. But the main path is crossed and re-crossed by countless other public trails, bridalways, and something the English tantalizing call “permissive paths.” With all the connecting trails, it is easy to put together a loop through the countryside rather than needing to backtrack. This means that you might pass the same walkers going in various directions two or three times on your way to a destination. It also makes it easy to get lost. 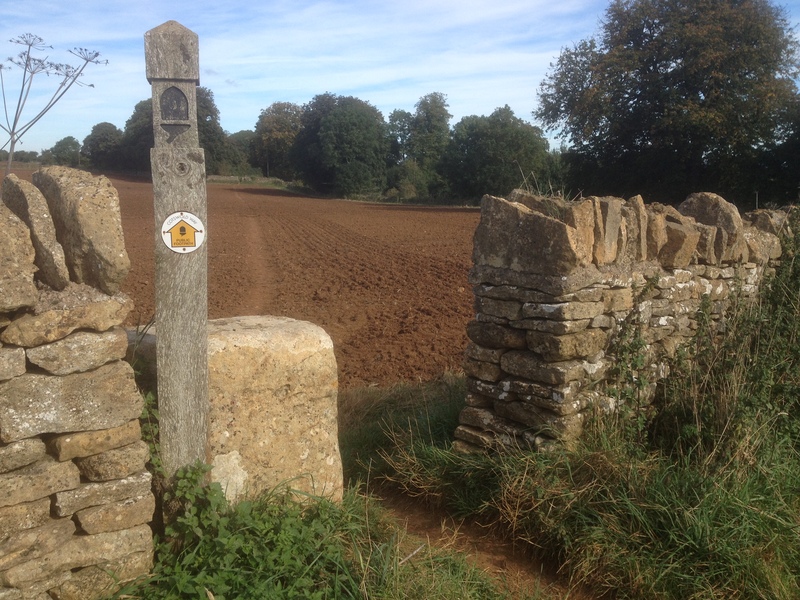 Much of the Cotswold Way is not a path at all, but just a general direction to be followed across a field of grass or mud or crops. Arrows point vaguely toward an unseen stile or kissing gate somewhere beyond the horizon, and you are on your own to find a way there. 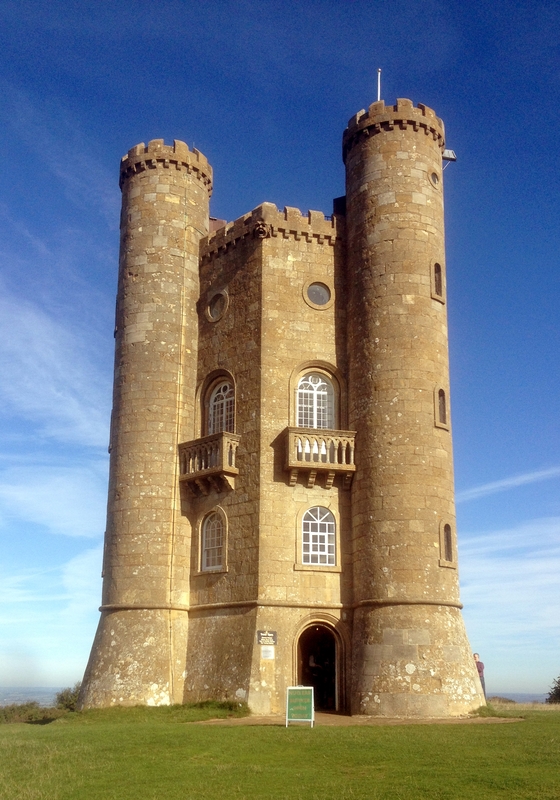 The most distinctive structure along the northern leg of the Cotswold Way is an architectural folly called the Broadway Tower. I spent much of my time at the tower trying to capture a photograph of it without any people. I told myself that others would like to see the structure itself, but there were so many walkers, and they kept getting in the picture. In retrospect, I should have focused on the people. Broadway Tower, like Chartres Cathedral, remains essentially the same through the centuries. But the tourists, after a time, become increasingly strange and interesting. 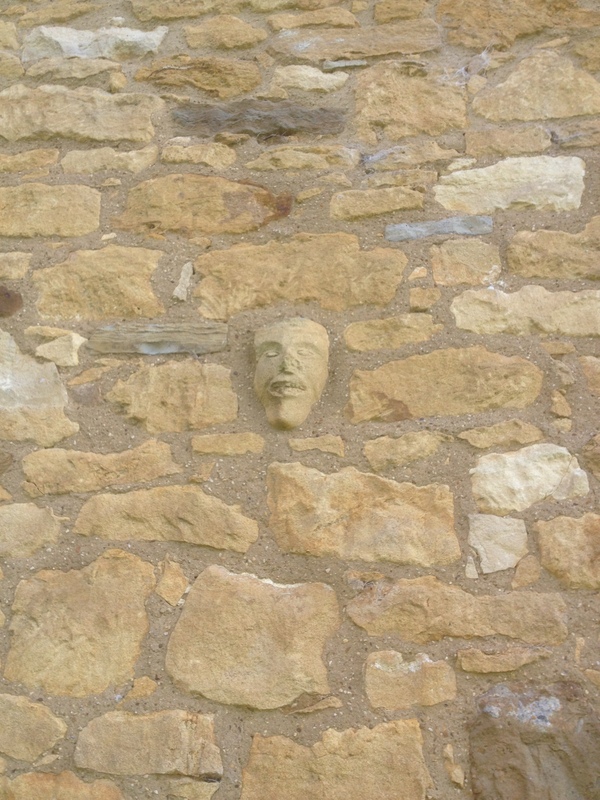 Leaving Broadway Tower with a walk across Clump Farm, I came upon something that was already strange and interesting. 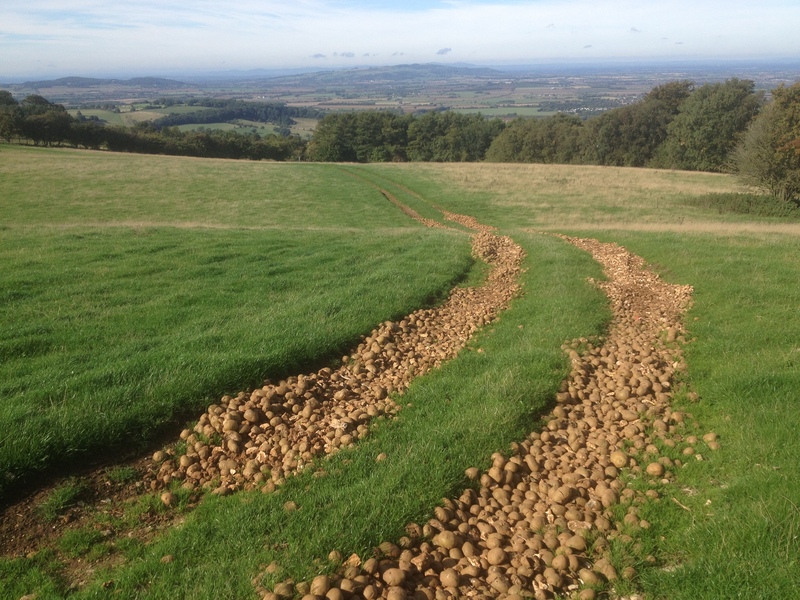 Potato Road. Now here is something you will never find at Chartres Cathedral.